​​​​ EL PASO – Locally based Hunt Companies and WestStar Bank have teamed up to build a 14-story, $70 million office tower at 601 N. Mesa in downtown. City Council approved an incentives package on September 19 worth up to $15.2 million for the project, called the WestStar Tower. Executives hope to open the tower in late 2019 or early 2020. 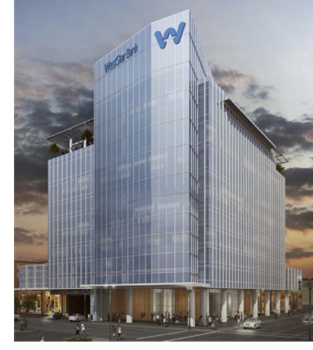 WestStar bank and Hunt Companies plan to move into the new tower, each occupying three floors of the tower. The plans for the building include 600 parking spaces, 200,000-sf of office and retail space, and park-like green space, according to a city document.